Lowest price bounce house rentals Cape Coral FL. 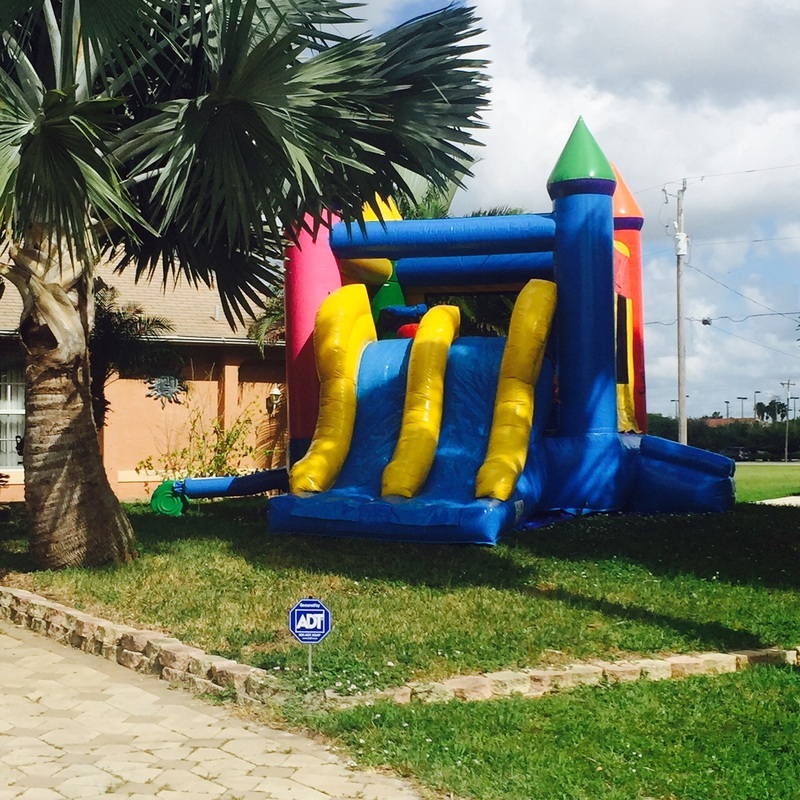 Best services on moonwalk, inflatables, bounce houses serving Cape Coral FL, and Fort Myers FL. #1 Safety is our #1 priority. #6 We have the best value for your $$ as our prices are for FULL Day rentals not 4-5 hours like many other places. NEED A BOUNCE HOUSE RENTAL IN CAPE CORAL? Brand New! Super Colorful and clean! Bounce House Rentals in Cape Coral FL features low cost bounce house rentals, great customer service. We are a locally family owned and run business in Cape Coral, Fl. Our bounce house rentals are guaranteed to be a hit at every kids party and to keep them busy bouncing for hours. Kid all over Cape Coral and Fort Myers love to say Let's Bounce to their friends! Even the "big kids" will have fun All of our bounce house rentals are a heavy duty commercial grade and they are cleaned, sanitized and inspected after every use. Day and Night Bounce House Rentals in Cape Coral is also fully licensed and insured. Our employees are professional and friendly and will go over all the safety rules so you and your party guests will have a safe and fun time. We have the Best Deals on all party rental needs. They will also ensure that any questions you have are answered and that your bounce house is installed properly so the kids will have hours of fun bouncing. Day and Night Bounce House Rentals in Cape Coral FL has many different options and sizes of bounce house rentals to choose from. When you rent our bouncers you truly keep our bouncer units All day. 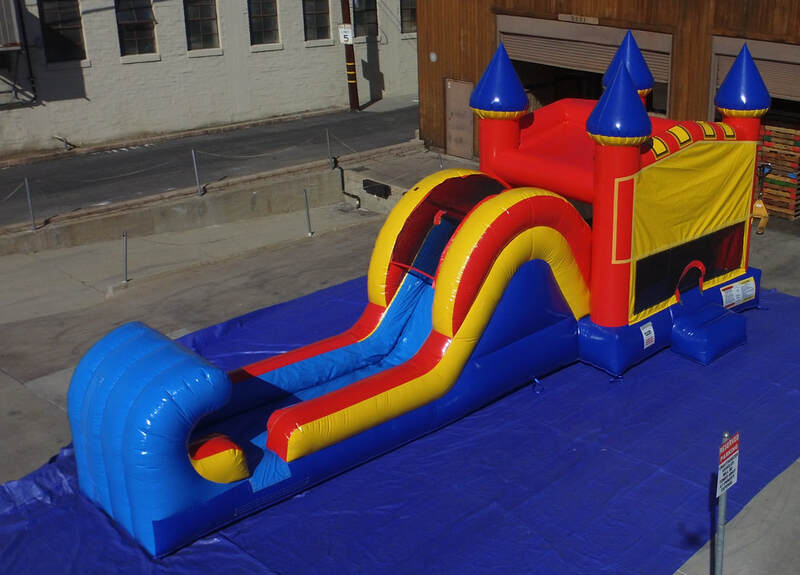 Kids love to jump and have fun in our fun jumps, inflatables, space walks, bouncers, castle bounce houses, princess castles and combo bounce house rentals. Our multi colored moonwalk rental is sure to be a colorful attraction at any party. And our pink and purple Dream Castle bounce house rental is perfect for any girls party. 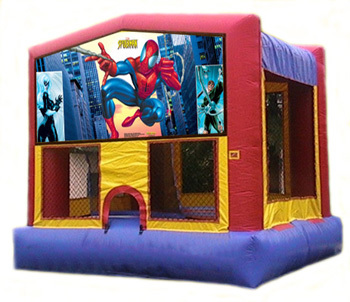 We also have many different themed bounce house rentals, including Disney Princess, Frozen Bounce House, Avengers Bounce House, Minions Bounce House, Spiderman Bounce House, Dora the Explorer, Mickey Mouse and many more. Looking for a larger bounce house? At Day and Night Bounce House Rentals in Cape Coral FL we carry the combo bounce house rental which has a large bouncing area, a basketball hoop and a slide that can be used wet or dry! Its a great way to keep the kids entertained for hours! The combo bounce house rental can also have any of the themes added to it for no additional cost.Day and Night Bounce House Rentals in Cape Coral FL prides ourselves in being friendly, professional, and offers a high quality bounce house rental at a low affordable cost Give us a call today to reserve your next bounce house rental. Some people may call them moonwalks, inflatables, bouncers, bouncys, or bounce houses. No matter what you call them we have them for south west Florida and we are the overall best company to rent your party rental needs. 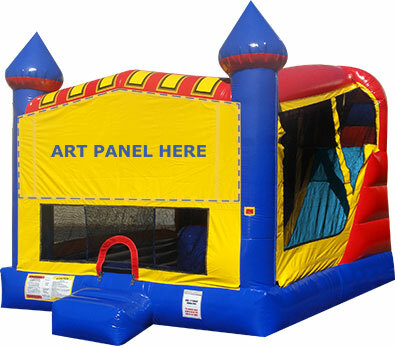 We have top notch customer service, highest quality commercial grade bounce houses, clean, and safe. 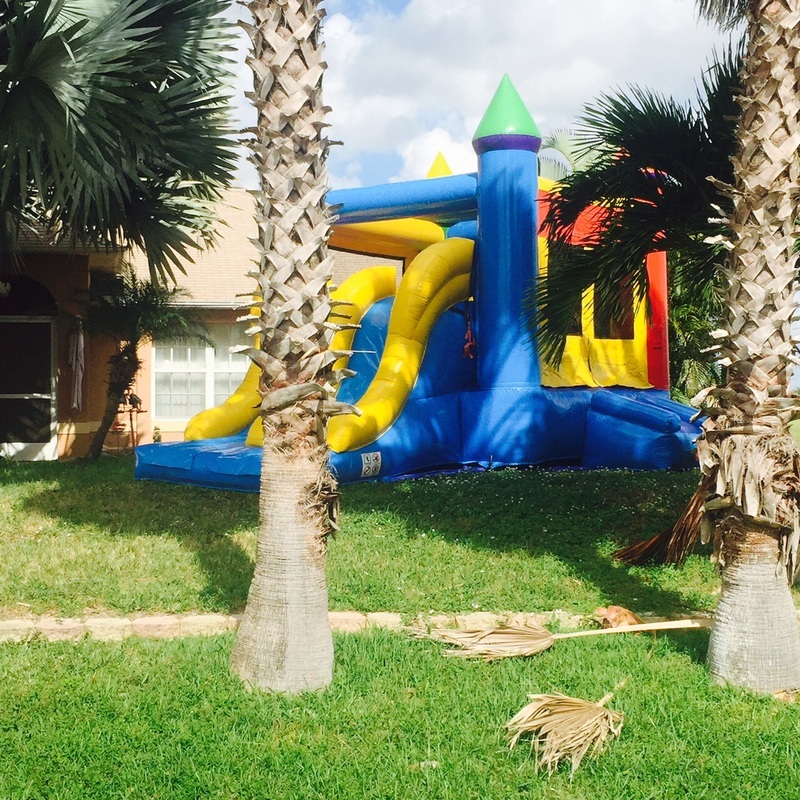 "We rented from Day and Night Bounce House Rentals Cape Coral for our son's 5th Birthday party. We got a monster truck Combo Bounce House Rental with Tables and Chairs for our event at Gateway Park in Fort Myers FL. They were really friendly over the phone, prices were excellent and they showed up exactly when I wanted them to and came promptly for the pick so I wasn't left waiting around. I Highly recomend this comapany and will be doing business with again"
At Day and Night Bounce House Rentals in Cape Coral FL we strive to make your party a success. We service the Cape Coral and Fort Myers Area. Please call us today to reserve your bounce house rental today 239-209-2109. Day and Night Bounce House Rentals is the #1 Bounce House Rentals. Best prices and service on bounce house rentals in Cape Coral, FL. We also deliver to Fort Myers,FL. Some of our favorite rental items for children birthday parties are our inflatables, moonwalks, bounce houses, slides, table rentals, chair rentals.